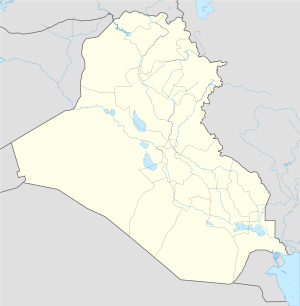 Dayrabun (Syriac: ܕܝܪ ܐܒܘܢܐ, Arabic: ديربون‎) is a town in the Dohuk Governorate in Northern Iraq. The town lies just 7 km to the south west of the tripoint of Iraq, Syria and Turkey. Dayrabun is inhabited by Assyrians who mainly belong to Chaldean Catholic Church. The name of the town comes from the Syriac words "dayra" and "abuna," meaning "monastery of the bishop." ↑ مركز ديربون الصحي (in Arabic). المديرية العامة للصحة / دهوك. Retrieved 26 March 2012. This page was last modified on 16 November 2014, at 13:21.